Power-up your room with this Super Mario Bros. inspired Question Block Light. 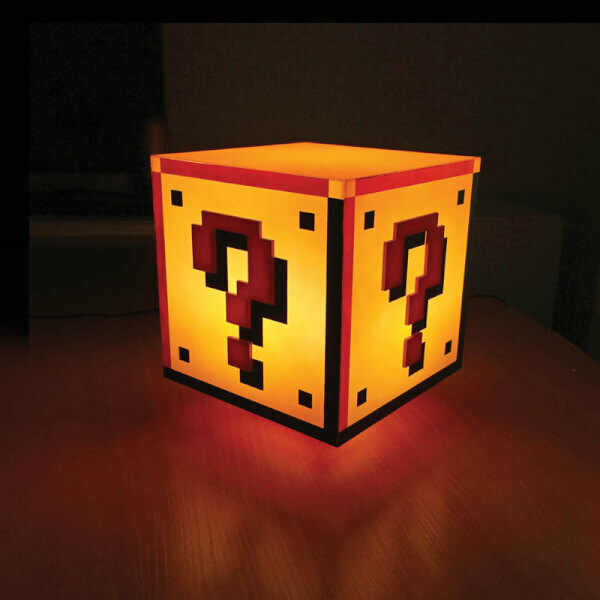 Designed like the iconic question block featured in the Super Mario Bros. video games, this distinctive moodlight is a brilliant gift for any video game fan. 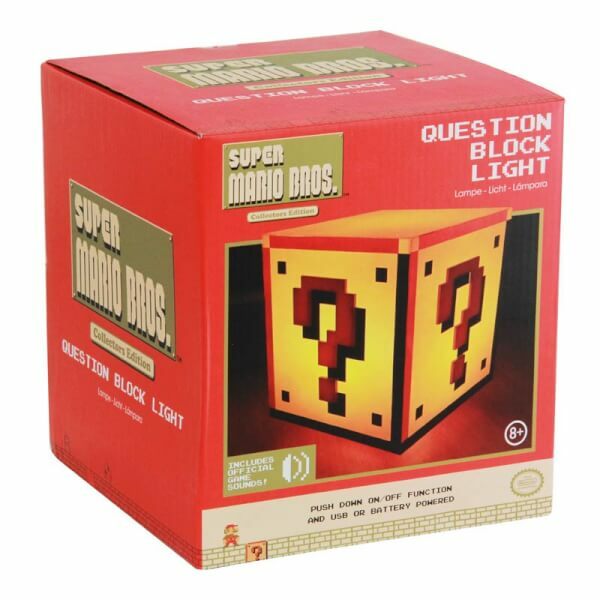 The Question Block Light even features the official classic sounds from the game. 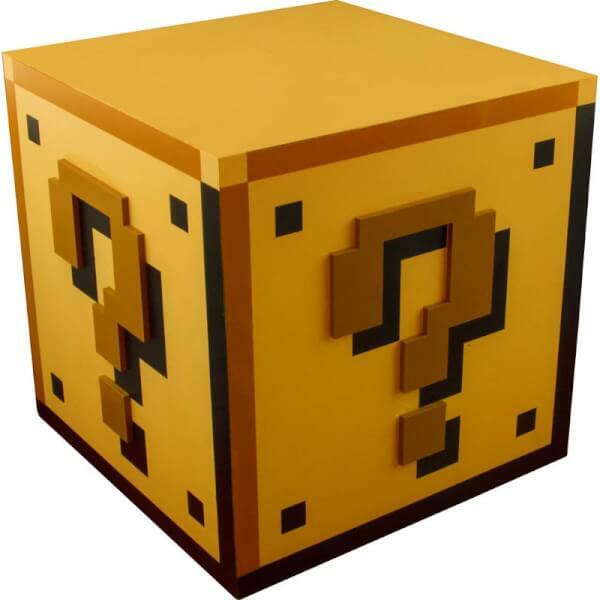 Looks great in my sons bedroom. He loves the sound it makes when you turn it on/off. Not the best quality,but aslong as you dont bash it too hard it should be fine!